Sandouping (Chinese: 三斗坪; pinyin: Sāndòupíng) is a town in Yiling District of Yichang prefecture-level city in the Chinese province of Hubei. It is located on the right (southern) bank of the Yangtze River, next to Yiling District's border with Zigui County to the west. 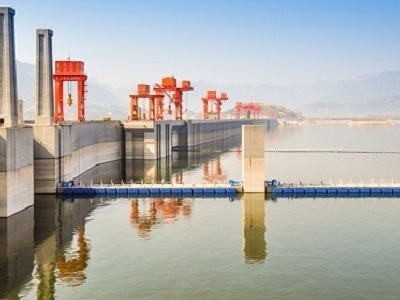 Sandouping is best known as the location of the Three Gorges Dam, which is the World's largest electricity-generating plant of any kind. 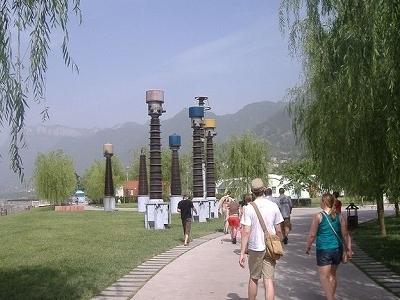 The town's economy is closely connected to the Yangtze River. Besides the Three Gorges Dam, major local enterprises include Hailun Shipyard (海轮造船厂) and Fazhong Vessel Servicing Company (发中船务有限公司). The three main agricultural products of Sandouping are citrus fruits (according to different governmental sources, 15,000 mu [ 1,000 hectares] or 10535 mu [702 ha] under cultivation, with an annual harvest of 14,000 metric tons, silkworms (14400 mu/ 960 ha of mulberry pantations), and tea (3316 mu/ 221 ha). The town's authorities are working on expanding tourism in the area. 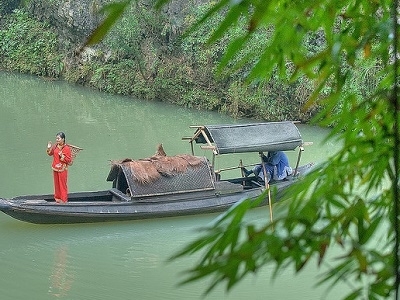 Here's the our members favorite photos of "Towns & Villages in Yichang". Upload your photo of Sandouping!